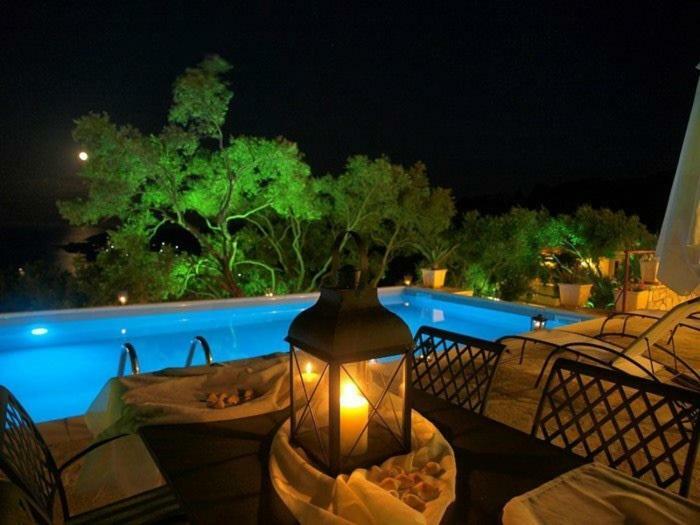 Offering an outdoor pool, seasonal outdoor pool and barbecue, Triena Quality Villas is set in Gaios in the Paxos Region. Free WiFi is available throughout the property. Some units are air conditioned and include a seating and/or dining area, equipped with a flat-screen TV. Some units also have a kitchen, fitted with a dishwasher and oven. 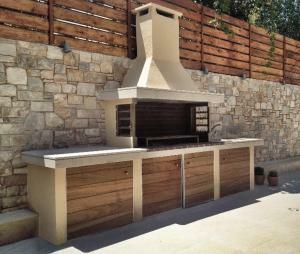 Triena Quality Villas also includes a sun terrace. The property also offers grocery delivery. 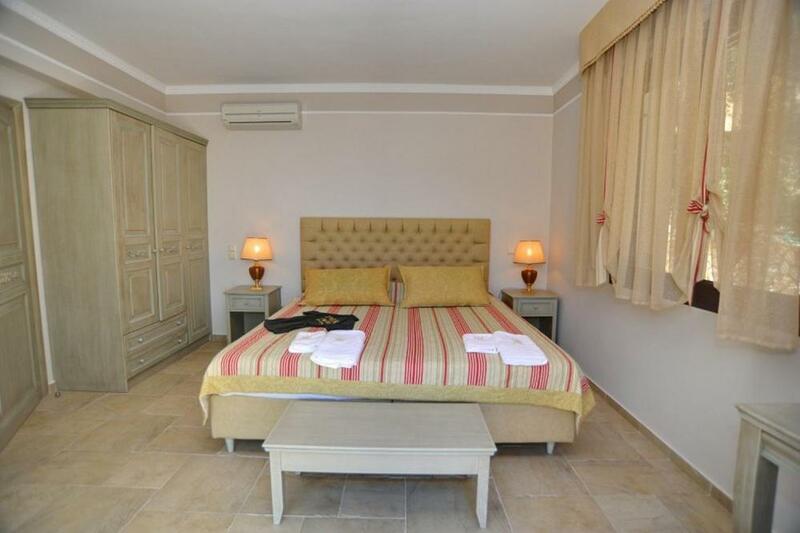 When would you like to stay at Triena Quality Villas? 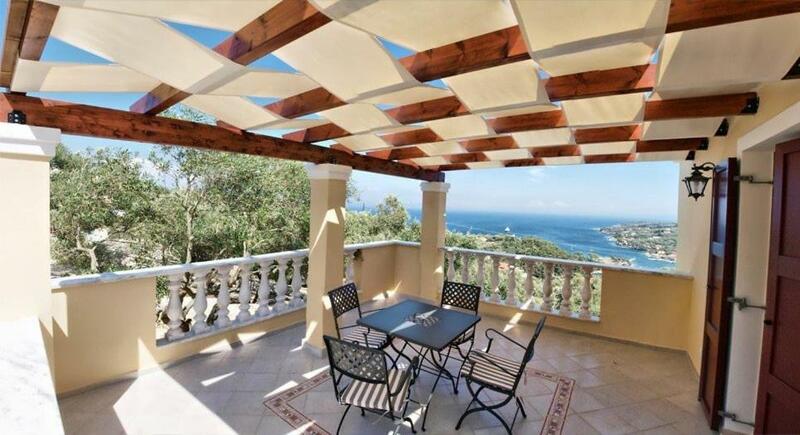 This villa has a balcony, CD player and private entrance. As the smallest of the seven principal Ionian islands Paxos represents an ideal destination for a ‘get-away-from-it-all’ holiday. Chocolate-box fishing villages punctuate the pine-clad coastline whilst the interior is carpeted with an endless array of silver-leafed olive groves, glinting under the rays of the sun. A rare haven from too often frantic demands of modern life, time here somehow seems to pass more slowly and nothing ever takes place at too fast a pace. #Following the coast road from the port of Gaios, we climbed gently uphill to where the dense olive tree canopy is penetrated by occasional soaring cypresses and it was here, hidden away in a most remarkable location, that we stumbled upon Villas. Three recently-built villas are expertly positioned to take full advantage of the most breathtaking views over the verdant hillside, town and glittering sea beyond. Sitting in thoughtfully laid out and lovingly tended, landscaped grounds Triena Villas enjoys a wealth of pastoral peace and tranquillity. 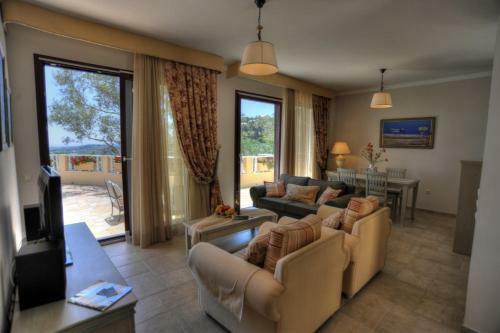 Paxos Retreats is committed to making sure that your visit is pleasant, comfortable and enjoyable. Our concierge team is at your service at any time during your stay to address your needs instantly. We know that the needs of each client may vary quite dramatically and that’s precisely why we have so many different options for you when you come to us looking for accommodation in Paxos. At Paxos Retreats you can find: Villas, Homes/Apartments, Hotels and Luxury lodges. That’s not all. With Paxos Retreats, you get the local knowledge and expertise of our friendly staff too. Leave it to us to tell you all about this Ionian gem, sailing into the bottle-green fjord toward Gaios. We know the history of Paxos, we know what sights to see, we know what spots to visit and which food to eat and where. And we want to share all of our knowledge with you so that you can have that truly memorable visit that you came here for when you booked one of our accommodations. Paxos is a tiny island when you compare it with the more popular tourist spots in the rest of the world but this tiny size only adds to the charm of the place. The little villages of Paxos have only a handful of permanent residents and that means everybody is treated like family here. Mingle with the friendly folk of Paxos and learn all about their culture, traditions and also this beautiful Greek island from them. Enjoy the stunning natural beauty that these villages have no dearth of, visit the ancient monuments that stand testament to the rich cultural heritage. All of the villages are easily accessible by boat or by car. House Rules Triena Quality Villas takes special requests – add in the next step! A EUR300 damage deposit is required on arrival (around USD339.07). This deposit will be fully refunded 7 days after check-out, as long as there isn't any damage to the property. Triena Quality Villas accepts these cards and reserves the right to temporarily hold an amount prior to arrival. Please inform Triena Quality Villas of your expected arrival time in advance. You can use the Special Requests box when booking, or contact the property directly using the contact details in your confirmation. A damage deposit of EUR 300 is required on arrival. That's about 339.07USD. This will be collected by credit card. You should be reimbursed within 7 days of check-out. Your deposit will be refunded in full by credit card, subject to an inspection of the property. We need at least 5 reviews before we can calculate a review score. If you book and review your stay, you can help Triena Quality Villas meet this goal.